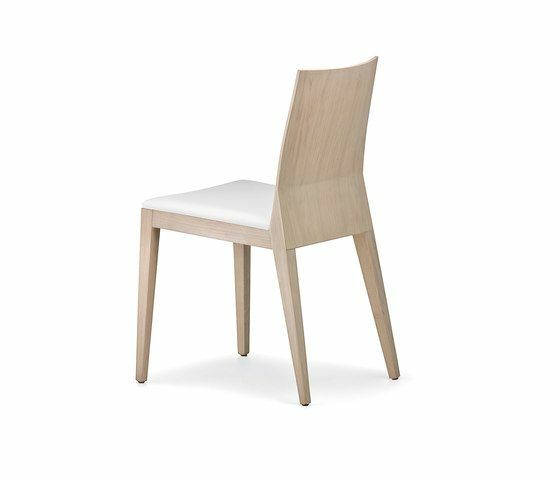 Twig chair in oak or beech wood. Its thin back profile creates a stylish bending. Both sides of the back are made up with sandwich panels. Solid oak frame available in bleached oak and stained wengé finishes, or beech frame version natural or stained black. TWIG 429/2 High upholstered seat.